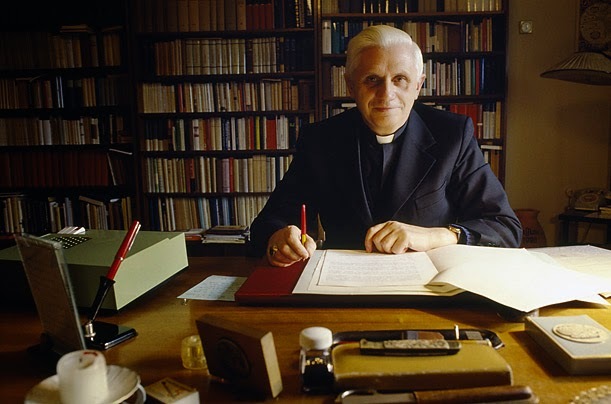 In my class Philosophy and Biblical Interpretation, I had the privilege of introducing our first quarter MA students in biblical theology to Cardinal Ratzinger's (Benedict XVI) Erasmus Lecture (January 27, 1988). Among the many remarkable features of this lecture, one section stands out in my mind for its definitive relevance for the future of exegesis and theology. "But I think we must go a step further in order to appreciate the fundamental decision of the system which generated these particular categories for judgment (i.e., of Dibelius and Bultmann). The real philosophic presupposition of the whole system seems to me to lie in the philosophic turning point proposed by Immanuel Kant. According to him, the voice of being-in-itself cannot be heard by human beings. Man can hear it only indirectly in the postulates of practical reason, which have remained, as it were, the small opening through which he can make contact with the real, that is, his eternal destiny. For the rest, as far as the content of his intellectual life is concerned, he must limit himself to the realm of the categories. Thence comes the restriction to the positive, to the empirical, to the "exact" science, which by definition excludes the appearance of what is "wholly other," or the one who is wholly other, or a new initiative from another plane. In theological terms, this means that revelation must recede into the pure formality of the eschatological stance, which corresponds to the Kantian split. As far as everything else is concerned, it all needs to be "explained." What might otherwise seem like a direct proclamation of the divine can only be myth, whose laws of development can be discovered. It is with this basic conviction that Bultmann, with the majority of modern exegetes, read the Bible. He is certain that it cannot be the way it is depicted in the Bible, and he looks for methods to prove the way it really had to be. To that extent there lies in modern exegesis a reduction of history into philosophy, a revision of history by means of philosophy. The real question before us then is, can one read the Bible any other way? Or perhaps better, must one agree with the philosophy which requires this kind of reading? At its core, the debate about modern exegesis is not a dispute among historians: it is rather a philosophical debate. Only in this way can it be carried on correctly. Otherwise it is like swordplay in a mist. The exegetical problem is identical in the main with the struggle for the foundations of our time. Such a struggle cannot be conducted casually, nor can it be won with a few suggestions. It will demand, as I have already intimated, the attentive and critical commitment of an entire generation." Hi, I am a new theology student so I do not yet understand all the academic words you use, but yet I do have an understanding of the place of Scripture in revelation and reason. My understanding comes from suffering with Post Traumatic Stress Disorder for 38 years, and being psychotic with the resultant hallucinations. Have you ever hallucinated? It seems all philosophers and theologians and catechetics should have a few hallucinations (but probably not all together at the same time, that seems scary), it seems it would help heal the world. I was raised Catholic. In spite of that, I had my first flashback hallucination when I was 10. When I was 12 my parents gave me my own Bible for Christmas and I read it cover to cover, and began studying it with Jesus. Did you ever see the movie, “It’s a beautiful mind”? (I think that’s what it’s called) A must see, it does a fabulous job of depicting the hallucinatory experience in an intelligent, educated individual who is trying his best to hide his illness. For example, a hallucination would look as real to you as you do to yourself as you look at yourself in the mirror. But when you go to touch yourself in the mirror there is actually nothing there, just an open screenless window 3 stories up. So hallucinations cause panic because they are usually scary, but if they are not scary then they are usually deceptively deadly. So it’s gravely important to figure out what is really what, you see? So the question is this: what causes, in the middle of those hallucinatory experiences, one to hear the voice of the Good Shepherd and turn towards Him, and away from the ‘mirror’? It’s not reason, and it’s not wisdom –it’s revelation of His being. Scripture is a vestige of His presence, His foot print. One can study footprints in the snow, or one can suddenly notice the shadow leading to the footprint and follow that shadow to the being that makes it and end up in His loving arms and stay there in His embrace. That’s when scripture stops being academic and sterile, and leads to a revelation of His warm and breathing very real and gentle presence. By His grace through our God-given faith the word of God is living and active, like He is even right this minute, right there with you while you read. He miraculously healed me of the psychosis on 11/10/2008. Yep, He supernaturally instantaneously and unexpectedly made me a new creation, and in 33 days I’ll be six years old. The basic philosophical question is this, is it legitimate to infer the existence of God from his works (e.g., why is there something, rather than nothing, and why does that something obey physical laws of a seemingly infinite subtlety), or must we limit ourselves to having questions, questions of potentially the greatest importance, with no answer, simply because no proof from sense experience (either from external senses such as sight, hearing, touch, etc., or from "internal" senses such as conscious awareness) is possible. Such unanswered questions arise in reading ancient scripture. How is it, for example, that a bronze age student of Egyptian culture should happen to encounter a burning bush that defied the second law of thermodynamics? (Or that the parting of the Red Sea was such a violation?) How is it that this same person received a declaration that a voice described himself as "I am Who am", an existential concept of greater subtlety than anything produced by the Ancient Greeks that followed hundreds of years afterward? 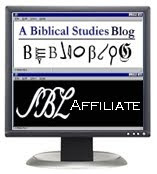 How is it that biblical types keep popping up in the Old Testament that have a clear connection to Jesus and his life? How is it that two of Jesus' miracles directly express mastery over the second law of thermodynamics (walking on water, calming the storm at sea)? How is it that one of the central dogmas of Judeo/Christian hope is the resurrection and eternal life, the ultimate violation of the second law of thermodynamics? Or how is it that only modern man was capable of drawing this connection, not the people responsible for composing the words of the scripture? One does not have to believe the testimony of scripture to raise such questions. The historical pedigree of the scripture and its content is sufficient. Hi Father Gearhart. I may have a legitimate response to your final question, "Or how is it that only modern man was capable of drawing this connection, not the people responsible for composing the words of the scripture?" Perhaps because the post-enlightenment man has become so massively egocentric that his pride (which is invisible to himself) prevents him from accepting the tool of faith that God has given him. Instead, he prefers to repeatedly run into the wall (his conscience) that suddenly appears when he attempts to use his meager tools that measure finite, physical things to measure the infinite, spiritual realities. Satan, in his genius of deception, is brilliantly slick like that. You see, if we reason that inferring God's existence by the witness of His miracles (of which written Scripture is one of, as is evidenced by God's linguistic meta-language, which is the only reason some people oppose learning about that meta-language) is not a legitimate method of inferring the existence of God, then we end up talking ourselves out of accepting the miracle of our own salvation! We then have used our reason to deny the power of God (which is what the cessationist do), which is a way of denying the sufficiency of God's grace and, instead, accepts the rationalizations of our own fallen human nature as being sufficient, which places our fallen nature in a position of being worshiped. By placing more value on our human reasonings than on our God-given faith, we spit in the face of the God who gave us that faith by worshiping ourselves and not Him -we have become zealous idol worshipers. But remember, He told us to get into the Kingdom of God we must become like little children -what do little children know? Anymore it's sometimes hard to tell: is it faith seeking understanding, or understanding seeking faith? I woke up at 3am compelled to clarify that the ‘faith’ I am referring to in the above responses is not referring to the beliefs of one’s ‘faith-tradition’, I am referring to the faith of Abraham. I mean this faith: Before he was named Abraham he was called Abram. Abram was old and childless, heard a supernatural voice and recognized that voice as coming from The Lord, and followed the directions given by that voice (Gen. 12:1-4). That is knowledge of God as direct revelation mediated through the voice of God (faith comes from hearing, and hearing the word of God –Romans 10:17, a writing of Paul). In the vision the word of the Lord told Abram not to be afraid. Abram was afraid, so he addressed his fear by taking it to the Lord, “You have given me no children”, which seemed contrary to what the voice had initially promised through the direct revelation as noted above in Gen. 12. So the word of the Lord reassured Abram by repromising to Abram a son and offspring, furthermore, this time the Lord took Abram outside and said, “Look toward heaven, and number the stars, if you are able to number them.’ Then He said to him, ‘So shall your descendants be.’ And he believed the Lord; and He reckoned it to him as righteousness” (Gen. 15:1-6). In Gen. 15:1-6, as in Gen 12:1-4, Abram acted on the hearing of the voice and followed its directions. But this time the Lord did not only reveal Himself through hearing, He also revealed Himself through seeing and reason by telling Abram to go outside and “Look toward heaven, and number the stars, if you are able to number them.” Unable to number them, but nevertheless awed by their number, Abram was moved this time not only by the direct revelation of God revealed through the voice of God, but he was also moved by natural revelation which was all mediated through his ability to reason. To postulate what he may have been thinking when he looked towards heaven and tried to count the stars, ‘if the supernatural voice I am following has the power to make the cosmos, He can surely make me descendants’. Thus, per St. Paul, Abram (Abraham) is the father of our faith (Gal. 3:6-9, Rom.4). St. Peter, on the other hand, who had the God-given faith of Abraham, was made the father of our faith-tradition. What knowledge does natural revelation teach us about God (natural revelation referring to the Truth that nature reveals about God, the Creator of nature)? According to St. Paul natural revelation gives us knowledge of the invisible qualities of God, “For what can be known about God is plain [to us] because God has shown it [to us]. Ever since the creation of the world His invisible nature, namely, His eternal power and deity, has been clearly perceived in the things that have been made” (Rom. 1:19-20). The NT writings above were all written by St. Paul. Why would St. Paul know the topic of faith so well and address it over and over? Because he was a learned man? Does faith come from academia, or from God -by whom Abraham is the first example in time of that God-given faith (thus Abraham is the father of our faith)? Paul knows about faith the same way I know about it –because while we were seemingly going on about our own business we were knocked on our butts by God, and while in an incapacitated state we heard the word of the Lord and followed it –and He miraculously healed us –which means He supernaturally made us as new creations. Going back to Rom. 1:19-20 paraphrased: ‘everyone knows the truth about God by seeing what He has made’ –in the case of someone who has been miraculously healed, denying one’s own miraculous healing is the same as denying the existence of God. In conclusion, if we deny that His works are THE legitimate way to recognize the existence of God, we end up denying the power of God, the sufficiency of the grace of God, and the faith of Abraham –our own faith. By His works I am referring to: His voice heard through direct revelation, and His other miracles which include creation and salvation and our Holy Bible (because the linguistic meta-language reveals the compilation of Sacred Scripture into our Holy Bible as having been inspired, which is indirect evidence of the Scriptures, themselves, having been inspired.) and every kind of supernatural wonder past, present and future that is supported by Scripture. That is why He gave us Scripture –so that if we doubt we may test what we see and hear against the written word of God, because through the writings of Scripture the revelation of God is complete for our time. This is not said in support of sola scriptura. Remember, as an infant I was baptized into the faith-tradition of Catholicism. Our catechism records the beliefs of our faith-tradition, yes? And are those beliefs based on an understanding of Sacred Scripture? Woke up at 3am again. Perhaps I should go to bed earlier. 1. Take a stand on creation. Or at least for now take the first step, which is a stand against the theory of evolution. Evolution, which is a secular myth that creation occurred as a result of random mutations and survival of the fittest competitions, occurred post fall of mankind, not before. According to our Holy Bible, what we see as random mutations and survival of the fittest competitions are a result of the fall of mankind, when suffering and death were introduced into the once perfect world. Because She has not taken a stand against the myth of evolution, she is being pressed into accepting homosexuality as a natural, and therefore good and true, God inspired relational behavior. 2. Map out God’s linguistic meta-languages in the original languages. This will strengthen her faith greatly, because it gives evidence for our Holy Bible having been inspired, both in the Scriptures and in the compilation of His work into one book. It is not a replacement to the current way of historical-cultural exegesis, it is an addition to that way, and is the tool through which to correctly relate the findings of research into the whole of the Bible. Don’t wait for me. Due to my head injury I am impaired in the ability to learn languages. Due to my current speed of progress it will be years before I am fluent in any of them. Of course, I do believe in miracles… No worries. 4. Take official apologetic stands against the various relativistic lies that effect the faith of Her followers, lies such as cessationism and the thinking that all miracles will be explained one day through our understanding of the natural laws once we know those laws better (I don’t know what that lie is called, but I also often hear of it when I tell of my miraculous healing). By taking official stands it gives Catholics who are loathed to read the Bible but will accept the teachings of the Magisterium, a way to look up and learn about these lies so that when they evangelize or catechize others they have the knowledge they need to ‘attack’ the lie instead of the struggling-to-understand person. In that way, perhaps the Catholic’s love of God will be perceived and more of the world will accept the absolute truth who is eternal Life. 1. The Gospel of Thomas. Our fathers did well to not accept this into the Holy Bible. It is a list of ‘Jesus said,’ followed by various assumed quotes of Jesus. They read more like unordered paraphrases (thus they are chaotically presented, therefore not from the God who creates order), and although some sound similar to statements He actually did make that are recorded in our Scriptures, they are very often void of any reference to His meaning for them, are taken out of context, or are statements that directly oppose the true meaning. The opposition of meaning is, very interestingly, mostly given to the few and far between key transpositional words in this document that is otherwise void of them, such as the use of the word ‘light’. The transpositional key words are the words God uses in His linguistic meta-language in our Holy Bible to grow us in understanding and teach us about Him and His invisible spiritual realm. This purposeful opposition in meaning to these words, in my mind, signals that 2000 years ago the meta-language spiritual meanings of those key words were well understood and consciously rebelled against by some, such as the writer of this ‘gospel’. It is not good news: it is from Satan. 2. The Gospel of Judas Iscariot. Our fathers did well to not accept this into the Holy Bible. It is chaotically presented scenarios that the writer attempts to link through inference. There is no explanation of the meaning of the few and far between meta-language key words that are used, and their usage in this document lend nothing to a transposed meaning. Interestingly, again, ‘Light’ is picked on, but this time beginning in Genesis, by inference, the writer purposefully attempts to spin the spiritual meaning of ‘light’ in the other direction, so that ‘Light’ will reference Satan and not the glory of God. Again, it is amazing to me (my eyes are popping out of my head!) that 2000 years ago the spiritual meaning of the meta-language key words were understood, and used out of context and twisted by people who were rebelling against God. This writing holds no good news: it is from Satan. 3. The Gospel of Mary. Our fathers did well to not accept this into the Holy Bible. It is virtually completely void of God’s meta-language keywords, and is a chaotically presented and humanly confabulated mess. There is no good news in this: it is from Satan. Please know that I hold no sense of ownership of God’s linguistic meta-language, it is from God and not from me, I did not write any part of the Bible, nor did I have a hand in its compilation. I am simply attempting to expose it to you so it can be better studied, and therefore used to strengthen the faith of the Church. I will honestly report what I find in what I read, if it means I am mistaken about it and end up rotting under a bridge, I am ok with that. Let it be the will of the Almighty God who saved me and healed me. So please, tell me, what else can I look at for you?